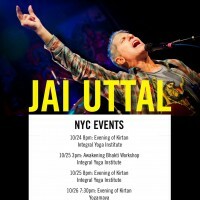 Jai Uttal is a Grammy nominated pioneer in the world music community. His eclectic east meets-west sound has put his music at the forefront of the world fusion movement. Jai Uttal’s musical roots embrace a rich variety of cultures and traditions that span the globe and the centuries. From the hillbilly music of the Appalachian Mountains to the passionate strains of Bengali street singers, from the haunting rhythms and melodies of ancient India to contemporary electric rock sounds, Jai’s music distills the essence of diverse musical forms. As a child in New York City, Jai’s home was filled with music. He began studying classical piano at the age of seven, and later learned to play old time banjo, harmonica, and guitar. His musical interests encompassed a wide variety of styles, and over the years he experimented with many forms of musical expression. Eventually this led him to the work of India’s National Living Treasure, Ali Akbar Khan. At the age of 19, Jai moved to California to become a student of Khansahib for traditional voice training and to learn the sarod, a 25-stringed Indian instrument. Later he traveled to India where he was deeply inspired by the Bauls, the wandering street musicians of Bengal. Jai settled among them, communicating only through music, which ultimately helped establish his unique style. During these early visits to India, Jai also met his Guru, Neem Karoli Baba, and spent time with many great beings of both the Hindu and Buddhist traditions. He became deeply absorbed in the practice of kirtan, the ancient yoga of chanting, or singing to God. This form of prayer became the core of his musical and spiritual life. When Jai returned to the US, his music had been transformed. He continued to study Indian music diligently while also performing in reggae, Motown, punk, and blues bands. He also began leading kirtan groups all over the country. The combination of Jai’s exceptional vocals and exotic instrumentation produced a new and captivating sound. In 1991 Triloka Records released his debut album, “Footprints”, featuring world music innovator Don Cherry and Indian vocalist Lakshmi Shankar. The album received critical acclaim and led Jai and his band, the Pagan Love Orchestra, to international prominence. By the time his second album, “Monkey”, was released in 1993, Jai and the Pagan Love Orchestra had an enormous fan base with a top ten record on the world music charts. In 1994, “Beggars and Saints” was released; a tribute to the Bauls of Bengal, and again the album received international recognition, solidifying Jai Uttal’s position as world music visionary. During this time, Jai also produced two CD’s for his teacher Ustad Ali Akbar Khan. Combining the brilliance of Khansahib’s playing and composing with Western orchestration, “Journey” and “Garden of Dreams” became extremely popular in the Indian community. 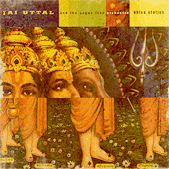 Jai’s fourth release, “Shiva Station”, was another leap forward. Capturing the raw urgency of his live performances with the Pagan Love Orchestra, and adding the mixing wizardry of veteran producer Bill Laswell, “Shiva Station” presented traditional chants in a totally new way. The concerts at that time united the temple and the nightclub, the sacred and the worldly; emphasizing the underlying theme that spirituality and devotion can pervade all aspects of life. Meanwhile, with the rise of interest in Yoga, Jai was receiving more and more requests to lead kirtan workshops and concerts all over the world. In the last few years, chanting has brought him to Israel, Fiji, Brazil, Germany, Switzerland and India. 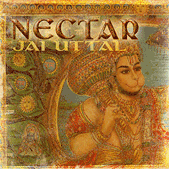 Jai released a live kirtan CD entitled “Nectar” to begin to chronicle these powerful events. 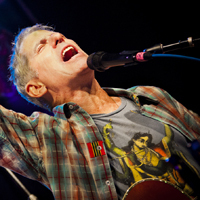 2011 saw the release of two new albums, “Queen of Hearts” (Nutone), a unique mixture of reggae, ska, and samba rhythms, used as a backdrop for call and response, dance-oriented kirtan; as well as “Kirtan Kids” (Sounds True), the first record of its ?kind, created for families to sing, laugh, dance, and celebrate?life together through call-and-response singing. His latest recording, “Return to Shiva Station: Kailash Connection,” is a wholly new album re-envisioning his groundbreaking “Shiva Station,” bringing the listener closer to the music itself with unadorned, intimate arrangements that illuminate directly the spiritual heart of each composition. 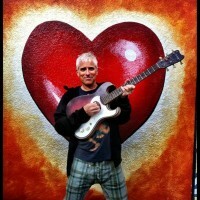 Sign up for Jai Uttal’s new Awakening Bhakti online course starting March 1 on Where Is My Guru! Dive into the vast ocean of Bhakti Yoga through singing, Japa, prayer, offering, laughing and crying. Awaken and nourish the seed of devotion within yourself in this four week online course. Share, explore and open your heart through mantra, song and Divine remembrance.